I had entirely forgotten about this, but what perfect timing! 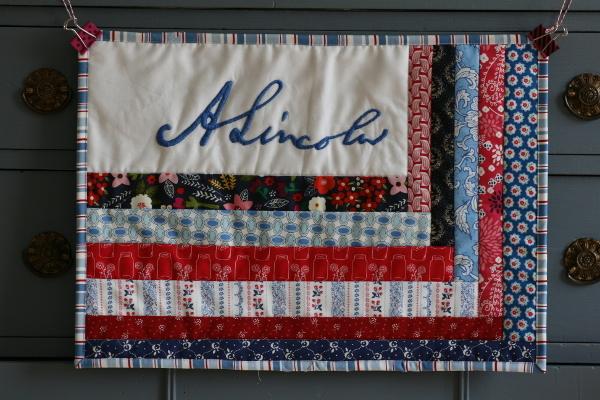 With Lincoln’s birthday falling on Friday, I decided to finish the project. 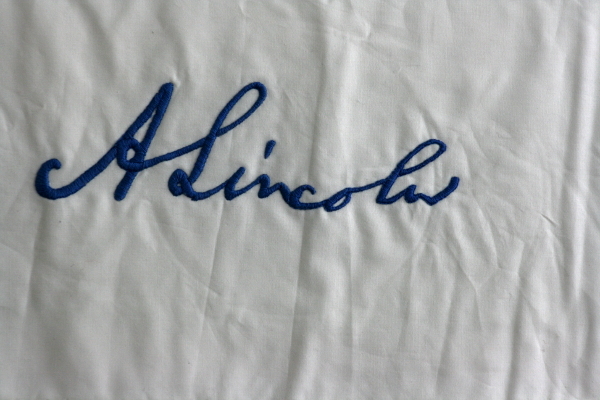 When I originally enlarged his signature and embroidered it, I thought I would make a pillow cover, but in the intervening time, mini quilts have become a fun small project, so I changed course. 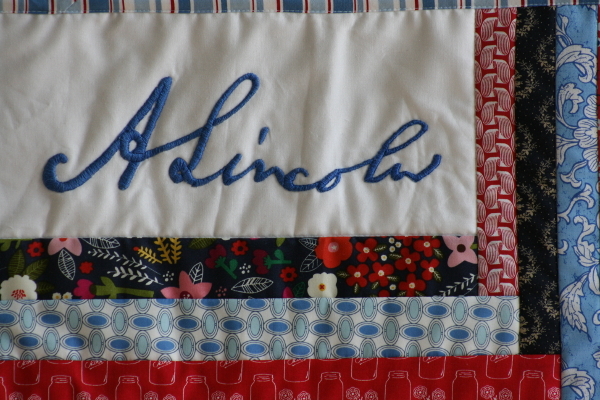 My embroidery work was done on a much larger piece of cotton with batting underneath, so I opted for a QAYG (quilt as you go) approach, and in honor of Lincoln, chose a quarter log cabin style. 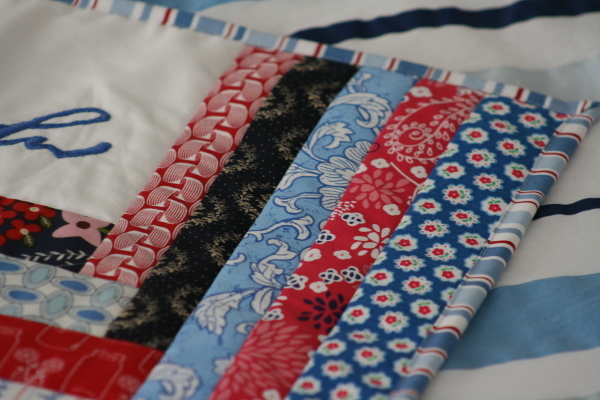 I enjoyed choosing fabric for this mini quilt, but didn’t put too much time or worry into it. There are a number of favorites in there, plus a few others. 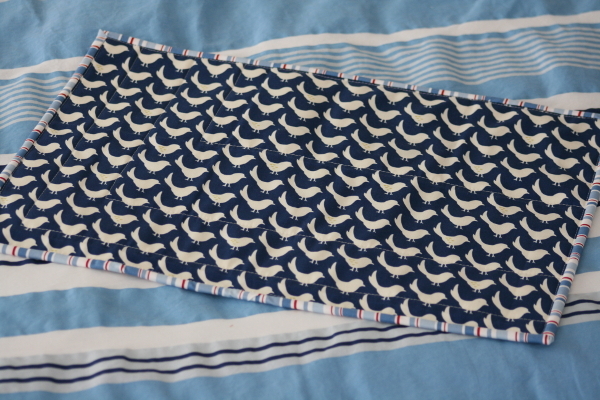 A Japanese bird print makes a great back! I bound in a stripe print I’ve had for years, and been saving to use as binding. I love how it looks, and especially how it frames the plain white in the top left corner of the mini. 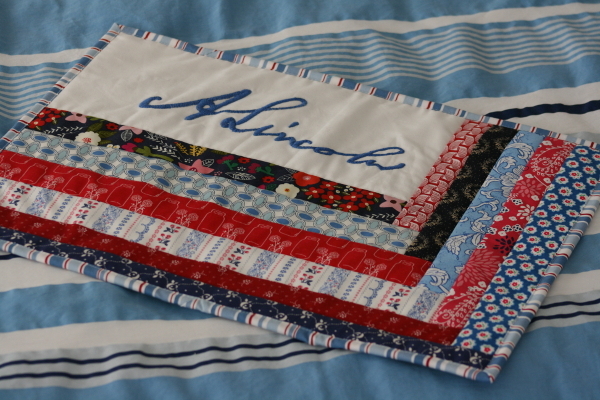 I’m so glad I made a mini quilt instead of a pillow. I don’t use as many decorative pillows as I did years ago, as I’ve learned they spend most of their lives on the floor and I spend most of my time picking them up. I think I’ll enjoy it longer in this form.